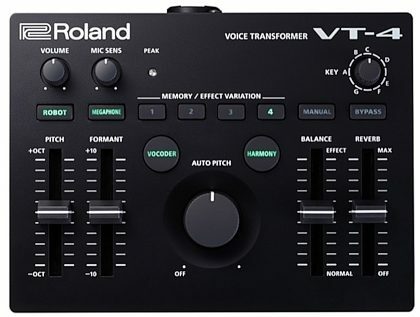 The Roland VT-4 is an effect processor for the instrument inside us all -- the human voice. And like the human voice, the VT-4 is easy to use, yet devastatingly effective. Whether you're a solo electronic artist, DJ, or singer in a band, the VT-4 lets you craft and shape your own unique vocal sounds, from subtle augmentation to radical transformation. Everything is hands on, with no menu diving or programming to get in the way. Jaw-dropping effects like harmonizing, vocoding, pitch shifting, hard tuning, and more are just a push, slide, or turn away. 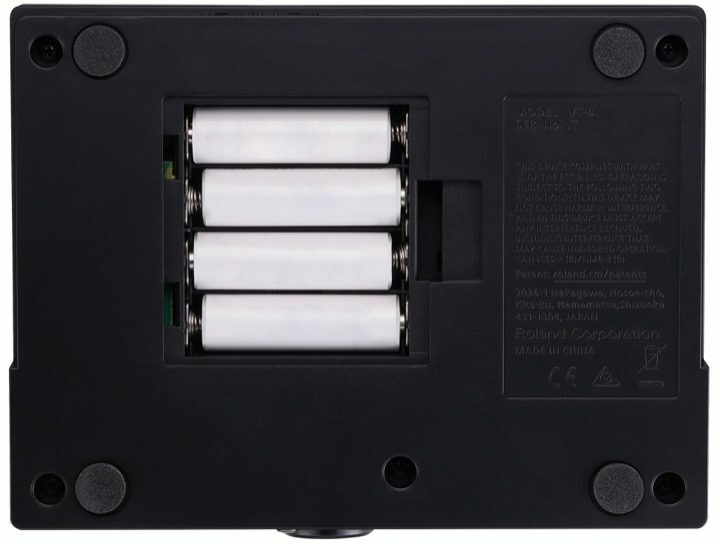 And with its compact size and five-hour battery life, you can use the VT-4 anywhere. Today's musical styles increasingly use unusual vocal sounds with heavy processing, making them stand out and grab the listener's attention. With the VT-4, you have a wealth of modern and retro vocal effects at your fingertips, with no need to resort to a complicated setup with a computer and plug-ins. All the effects are top-notch, with everything from delay and reverb to mind-bending formant and vocoding effects. 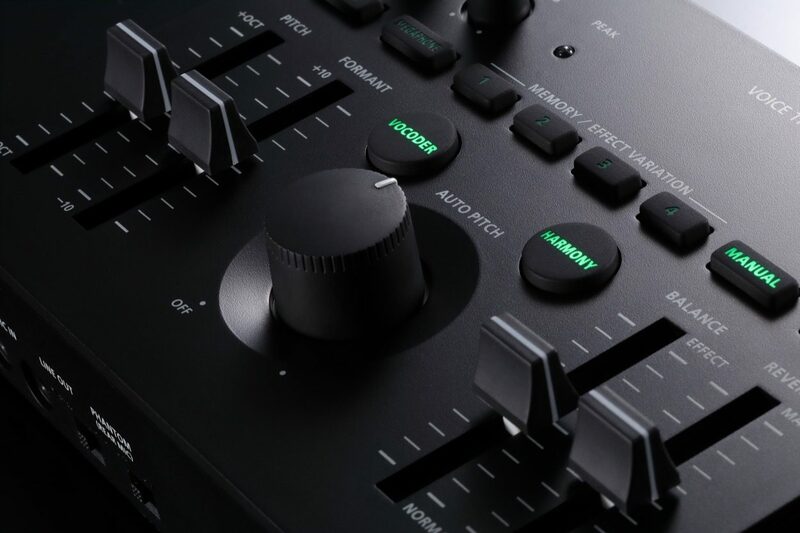 Better still, the VT-4's performance-oriented interface lets you ride the controls while you sing to constantly alter the sound to suit the track and enhance the vibe of your performance. Great-sounding pitch and formant effects are hard to come by, especially without a computer. And real-time tweaking of these effects often results in nasty artifacts and other unpleasantness. 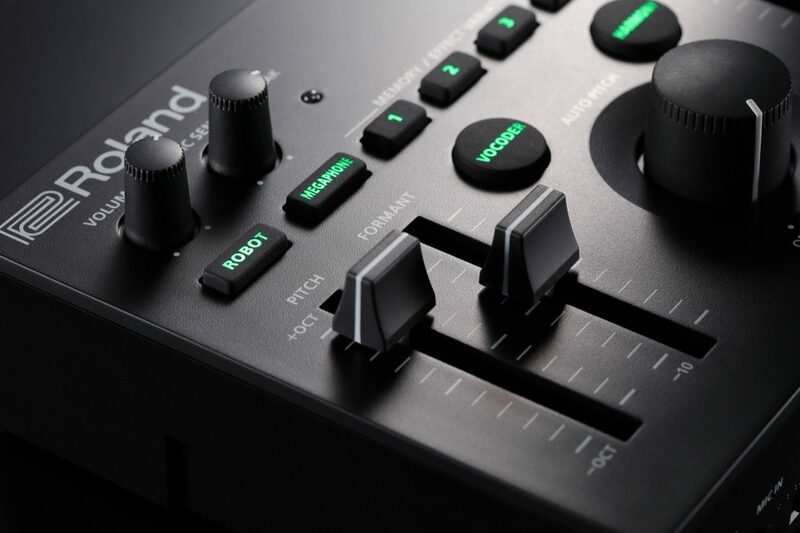 With the VT-4 you have totally smooth, instant control over both pitch and format, with dedicated faders for each. Dramatically change your entire persona from male to female, big to small, or good to evil--the choice is yours. Achieving complex vocal effects is easy with the VT-4, and you can even use multiple effects at the same time. Use the central Auto-Pitch knob to dial in just the right amount of hard-tuned effect, then press the Megaphone button for some lo-fi raunchiness. Or run the vocoder through a tape delay or vintage chorus. Each effect has a selection of one-touch variations, so you can get different vocoder characteristics, various lo-fi effects, multi-part harmonies, and distinct kinds of reverb and delay. Chain your effects, set the controls just how you like them, and then simply hold down a preset button to save that setup for later. Changing presets and tweaking controls is smooth and immediate, with no jarring artifacts, glitches, or dropouts. 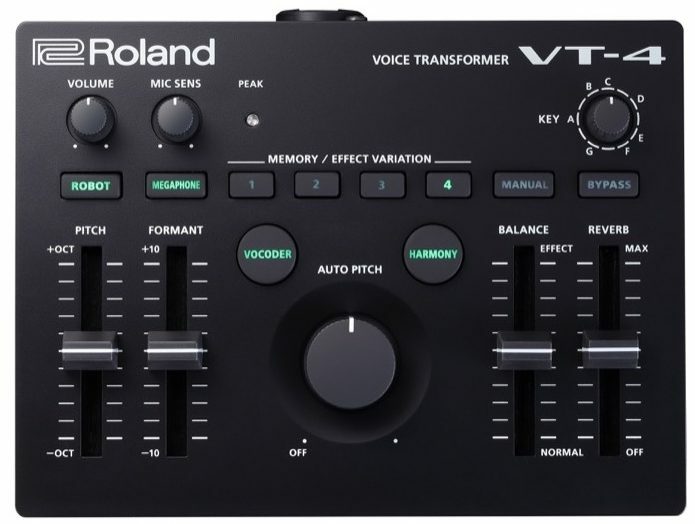 The VT-4 works great on its own and can harmonize and vocode without any input other than your voice. 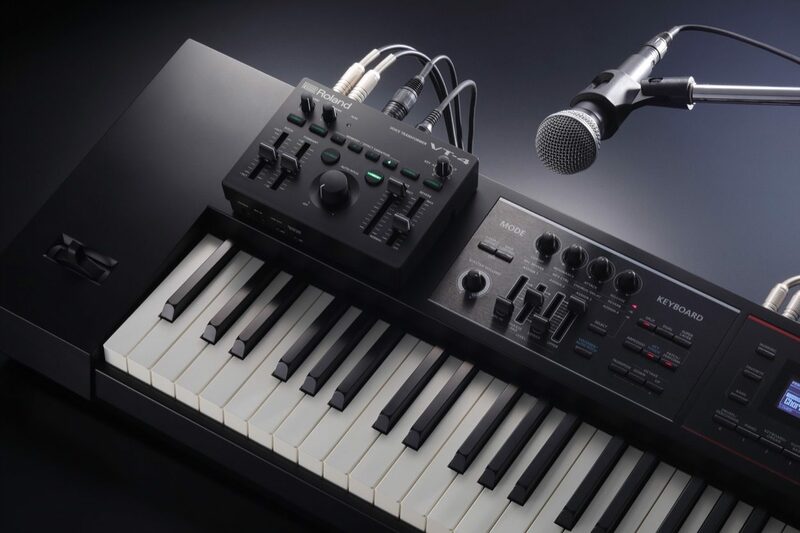 But plugging a MIDI keyboard into the VT-4 opens even more expressive possibilities, letting you control the Auto-Pitch, harmony, and vocoder engines in real time with the notes you play. You can hard-tune your voice to specific notes as you sing, or create instant multi-part harmonies with voicings that follow your chords. The VT-4's small footprint sits nicely on most keyboards and is easy to integrate into your setup, dishing out huge backing vocals and funky vocoded leads by the bucketload. Whether it's a weekly podcast or nightly multiplayer battle, if you're broadcasting your voice on the internet, you only have so many ways to stand out. 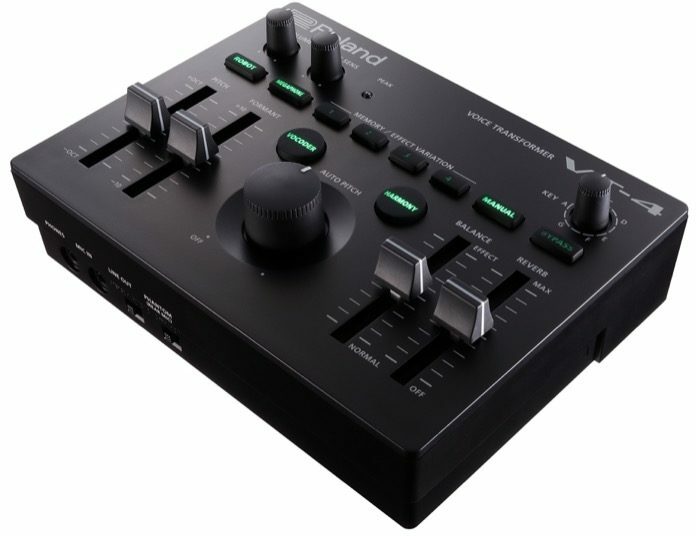 The VT-4's combination of small size, simple controls, and USB-audio capabilities make it uniquely suited to altering your voice for YouTube broadcasts, game streaming, podcasting, and more. Take on the persona of different characters in diverse locations, or sound larger than life when taunting your foes. Add humor, danger, wit, and variety to your streaming broadcasts--your imagination is your only limitation.